Dubai has excelled in the field of medicine and surgery in past few years. The standard of medical equipment and procedure has increased enormously in recent years that proved beneficial from health and financial point of view. Medicine and other facilities are available of highest quality but at a reasonable cost. This not only improved health and fitness situation in Dubai and UAE but also gave rise to the industry of medical tourism. Dubai has now been transformed in to a hub of medical tourism with the arrival of large number of patients from all over the world. The improvement is evident form the fact that their numbers are continuously increasing with every passing year. The main factor behind this growth is the availability of high class health facilities that are made possible only through strict and world class registration process. There are several reasons that one would like to open pharmaceutical company in Dubai. Large number of medical tourists is one reason but there is lot of scope in Dubai itself. Dubai has a fairly large population and most of them are enjoying good income thanks to the financial condition of Dubai and UAE overall. 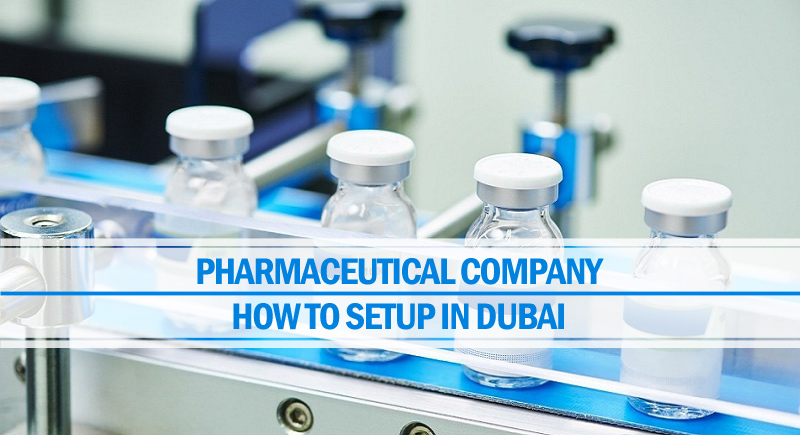 This clearly means there are already lots of opportunities available for pharmaceutical business in Dubai and one can expect to increase growth of that business in future as well. Due to the potential of pharmacy business, several international pharmaceutical companies have their subsidiaries in Dubai. But several other local and foreign companies also have large presence in this specific emirate and they are doing good business here too. It is mainly due to extensive business opportunities and full support from government of Dubai. Before opening a pharmacy or medical store in Dubai, it is important to know the whole procedure and all the documents required to submit for this purpose. All types of medicines and health facilities in Dubai are managed by Ministry of Health and Health Regulation Department. You will need a pharmacy license before starting any activity related to pharmaceutical products. This license will allow you to import, manufacture and sell medicines for diseases prevention to humans and animals. Pharmacy company can be setup in Dubai mainland (a preferred location) or any of several free zones in the emirate of Dubai. One of the best places for such companies is Dubai Healthcare City – specific free zone for healthcare. In case of opening medical store in Dubai mainland, local sponsors will be required. Procedure and documents can vary in both these types of jurisdictions. Following are important documents that are required to be submitted for acquiring pharmacy license in Dubai. There are two steps to get pharmacy license in Dubai. You will require initial approval as well as final approval from relevant authorities for this purpose. For initial approval, you will be required to deal with Health Regulation Department (HRD). This approval will take around 10 days. For second approval, you will be required to contact Dubai Health Authority (DHA) and Ministry of Health. All the required documents will be submitted after which the license will be issued. This license will remain valid for 1 year after which it will be required to renew. The second approval usually takes 20 days or so. In order to accomplish a trouble-free approval process of pharmaceutical license, you can contact Riz & Mona Consultancy via our WhatsApp # 971-56-9971225 or email address [email protected] With years of experience in registration of all types of businesses in Dubai, we ensure to register your pharmaceutical company in minimum possible time.